Hoka has certainly risen up over the past half decade or so as more people have gravitated toward the max cushioned line of shoes. Even I took a turn with Hoka early on, with the first version of the Bondi. While I liked them conceptually, they caused bad blisters on my heels, which ultimately led to me abandoning the brand. Fast forward, Hoka has realized that not everyone wants a ton of cushion. In an effort to continue fueling their growth, they have not only started to move into the road shoe market, but have also started to introduce models that, although still considered max cushioned, are a bit more toned down. Another recent design change with these newer models is a movement toward slightly narrower shoes. As I have narrow feet and prefer a shoe that sits a tad bit closer to the ground while also being able to take me long distances, I decided to finally give Hoka another shot and picked myself up a pair of the Rapa Nui 2. DISCLAIMER: Nothing to call out here. 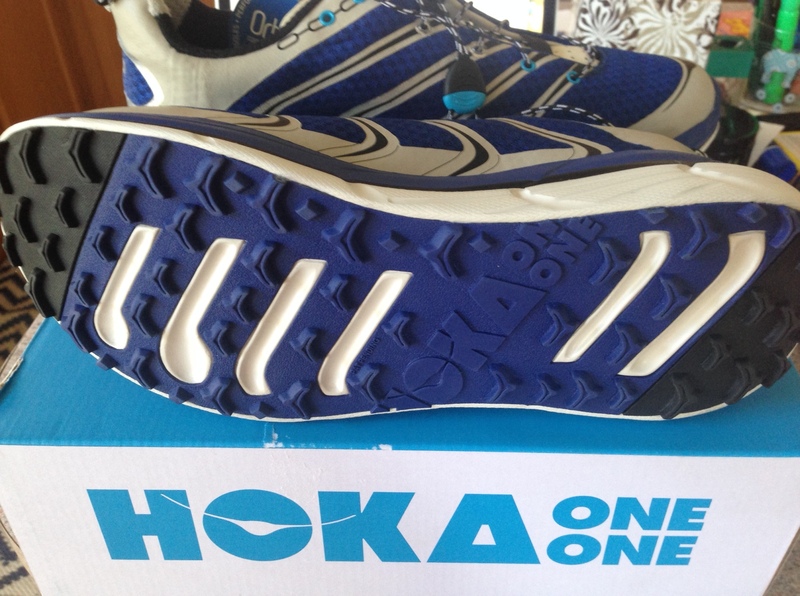 I am not affiliated with Hoka One One in any way and I paid for these off the shelf. Out of the box, the Rapi Nui’s look and feel like many other Hoka models. Even before you slip your foot into the shoe, you will notice the plush, yet durable heel cup. They also come, out of the box, with a quick lace system and a spare pair of traditional laces as well. Once you put it on, you will immediately recognize the soft pillow-like Hoka feel, even though this has a lower stack height than most of their shoes. At the same time, the shoe feels a bit different (versus the Bondi and Mafate that I have tried on in the past). They have a narrower, more snug feel to them. they definitely wrap the foot a lot more than what many Hoka traditionalists are probably used to. As I personally anticipated, I did like this fit a bit better because of my narrow foot. I know a lot of people that go a half size up because of the narrow shape, but that will largely depend on your preference. The bottom of the show has a pretty standard chevron lug pattern. They do appear deep enough for most terrain. The outsole does seem to be a bit more durable as well, giving the impression that they will hold up better to wear and tear versus older models. Everything looked promising out of the box, but of course, the real test can only be done out on the trails. 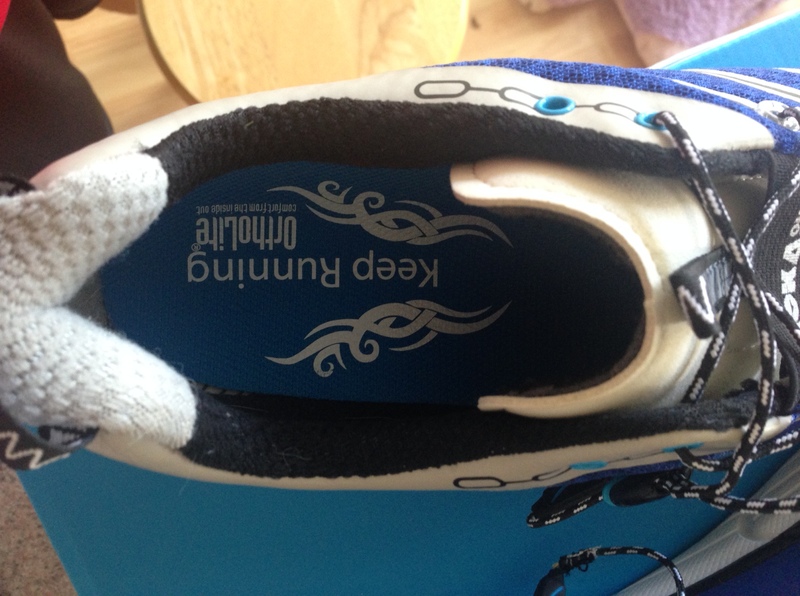 Below, you will see the detail of several runs I made in these shoes along with observations from each run. As always, I tried to run on varied terrain and in different conditions to see how they would hold up. These are a few of the key runs that my observations were based on. If any run highlights the sweet spot of these shoes, it was this one. This was my first run with the Rapa Nui’s out of the box and the result was a huge PR for me on one of my favorite routes. It is steep and technical in spots, but I felt completely comfortable in these shoes from the start. They were responsive and kept my legs feeling fresh. There were some wet spots were water runoff was crossing the trail and it handled these areas perfectly. In general, I had no complaints come out of this run. It did feel weird running in a shoe with a higher stack height, but that had less to do with the shoe and more to do with what I had become accustomed to. The Rapa Nui is not marketed or positioned as a pavement shoe, but I still wanted to give it a shot to see how it would perform in the event that I had to use them on a hybrid course. They certainly provide the cushion, but I didn’t really like them on the pavement. I can’t pinpoint it, but they just didn’t feel right. Maybe it was because they felt a little less responsiveness and a bit sluggish. Either way, I haven’t really used them on the pavement much since, although they would certainly get the job done on short stretches of road. I am sure that as Hoka expands their line, they will focus less and less on crossover shoes and more on ones dedicated for certain terrain types. It was on this course that I found the one major issue with the grip of the Rapa Nui. It generally performed very well in the rainy weather, that is until I hit a patch of wet slick rock. While it does do fine if the rock has dirt on it to add a bit of grittiness, on the clean, wet slick rocks I almost bit it a couple times. It took my comfort level down enough that I was weary of opening it up on the final descent. While this seemed to be the only type of terrain that I have struggled with in these shoes, it was significant enough to call out. My feet didn’t get too water logged at all, despite a steady dose of rain. I had a couple of key observations during my test runs in the Rapa Nui’s. Although they incorporate a few design changes such as a narrow fit, they still stay pretty true to the Hoka mentality. Where some may see these and think Hoka is starting to lose their focus, I look at it as more of an evolution or expansion of their brand. Hoka is growing, and with that, can begin to offer a wider array of shoes that fulfills the needs of more runners. The one thing that I still haven’t figured out with the Rapa Nui’s is a bit of foot numbness in the first 30 minutes after putting these on (until the blood starts pumping faster). It seems to be an issue whenever I use a heel lock tie. I am still playing with lacing techniques, but haven’t quite sorted it out yet. Slightly narrower fit feels more secure and holds the foot in place. While this may take wearers of previous Hoka models a while to get used to, it suites me nicely. I did get a little bit of rubbing on the first few runs, but never had a blister and the problem eventually went away after a short break in period. Wouldn’t be a complete Hoka review if I didn’t compliment the cushioning. The IMEVA foam that they use is cushiony and durable. Although it has a lower stack height (which I prefer), it doesn’t lose the soft ride. The shoe is pretty responsive as well…I never felt I was fighting against it. Durable. After nearing 100 miles in these shoes, they still look to be in solid condition. The quick lace system is terrible. They do not cinch well and were constantly becoming loose. It is almost like Hoka knew this would happen since they include a pair of traditional laces in the box. I swapped them out immediately. I get a bit of foot numbness in the first 30 minutes after putting these on (until the blood starts pumping faster). It seems to be an issue whenever I use a heel lock tie. I am still playing with lacing techniques, but haven’t quite sorted it out yet. While the shoes handled wonderfully in most conditions, do not run in these on wet slick rock, you will break yourself! Ok, but not great on paved surfaces. If Hoka would have not included the traditional laces in the box and made me buy a pair, it would have definitely dropped this shoe below a 4; the quick laces are THAT bad. That being said, I am still concerned with the foot numbness and, until I get that figured out, I have to ding it on the score for that. I am also disappointed on the performance on slick rock. We don’t get a ton of rain in the rocky Wasatch Mountains of Utah during the running season, but when it does happen, I will likely choose a different pair of shoes. On the flipside, the cushioning was fantastic, all while keeping the foot a little lower to the ground than most max cushioned shoes. The trail grip was superb on all other conditions outside of wet rock (didn’t get on any snow with them so that is TBD). I will continue to rotate these in for speedy long runs or for recovery days where I want to give the legs a bit of a rest. I can also see using these in any conditions where the trail is not super technical and would not hesitate to do so. I like them the most out of the Hoka’s that I have tried and it has renewed my confidence in the brand enough that I will likely also try some of their other shoes (perhaps the Clifton next for the pavement). 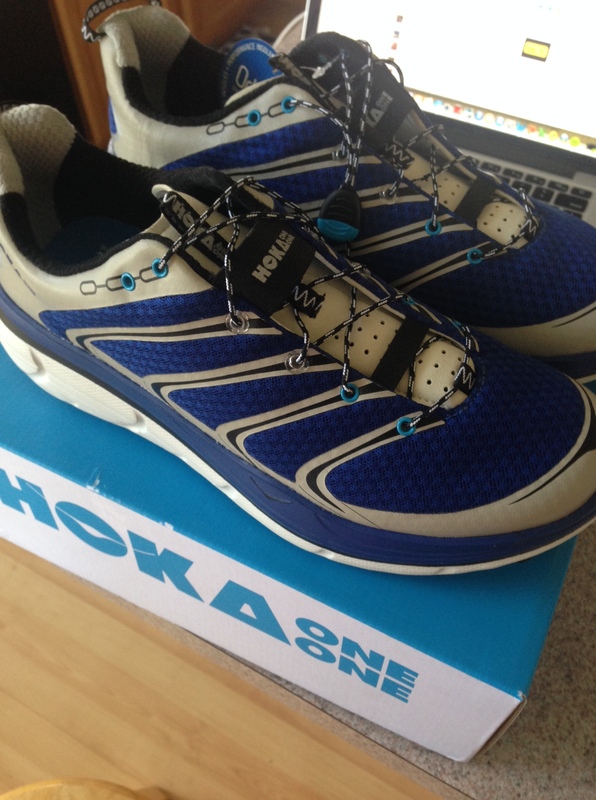 This entry was posted in Gear Reviews and tagged Hoka, Hoka One One, Rap Nui 2, running, shoes, trail running, ultra running, ultrarunning by Ultrarunner Joe. Bookmark the permalink. In total agreement about those speed laces. Traditional laces are tops! I think the narrow heel in these (Men’s version) might work for me. I wear the Men’s Hoka’s and have had some recent issues with one foot in the Stinson’s sliding a bit in the toe box. You will love the Clifton’s not just for the road but for the trail too, according to a friend of mine who swears by them. I heard a rumor that Hoka is introducing a Clifton trail model soon though. Excellent review and Happy Trails to you! Thanks for the review. Used these at Wasatch and loved them. Haven’t had the issue you have with the speed laces coming loose.